Our vacation began at the airport. It's funny how just being able to sit and read a book without interruption can in itself feel like a vacation. Birdie gave me this book to read and I am here to tell you that it is my all time, very favorite book. LOVE IT. I will have to go back and read it again and again. Not so much the first few chapters but the parts afterwards. If you read it you will understand why I say that! PLEASE read it. You may not agree with everything in it, but it will certainly spark deep thoughts and cause you to ponder your concept of God. Upon closer inspection, it is actually a scorpion but I wasn't sure at first why the people of Las Vegas wanted to greet their tourists with a giant pile of well, you know. The view was MUCH better once we got to our hotel. We were greeted by the concierge and offered a glass of wine! After we got settled, we went to explore and find some food. We decided on Italian food. Then we got some gelato for dessert. And listened to these very talented musicians. And hoped that one on the left wouldn't need any medical care while we were in the vicinity. Then we ate our gelato and people watched before heading back up to hit the hay! Looks like a great trip. 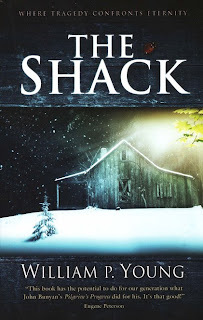 I just purchased "The Shack" a few weeks ago, but just haven't had time to read it yet. I definitely will soon. Sounds like you are having a great time! Mmmm... eat some gelato for me!